Laurealism: Friday Find: Victoria's Secret Goes Back to School! Friday Find: Victoria's Secret Goes Back to School! 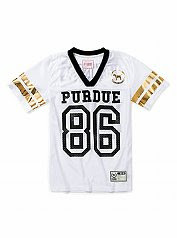 Victoria's Secret Pink line now has a collegiate collection of clothes, so not only can you be comfy and cute, but school spirited as well! Here's a LIST of schools that Victoria's Secret currently has a clothing line for. 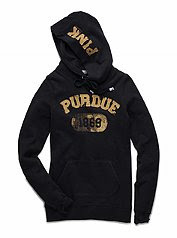 And since I'll always be a Boilermaker, HERE's some of the Purdue Gear! Prices range from $26.50 (for that adorable gray tee!) to $58.50 (zip-hoodie, not shown) -- not quite in the average college bucket, but I'm sure you girls will find the money somewhere. It's fun to see Victoria's Secret branch out like this-- are any other brands doing the same? You wish you could double-date us!